To Cite: Ebrahimi A, Mardomi K, Hassanpour Rahimabad K. Architecture Capabilities to Improve Healthcare Environments, Trauma Mon. 2013 ; 18(1):21-7. doi: 10.5812/traumamon.9999. Background: The physical environment of healthcare buildings has great importance in issues such as patient safety, functional efficiency, user satisfaction, healthcare outcomes, and energy and resources consumption. 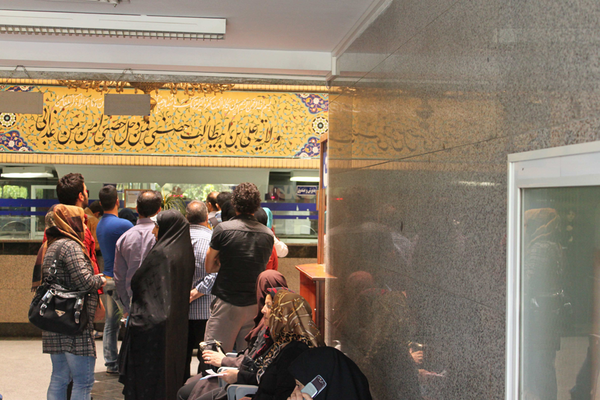 Objectives: The present study assesses physical environments of Iranian healthcare buildings. Materials and Methods: This study was performed using a descriptive-analytical method. Data collection was carried out via a written questionnaire. Results: Based on the findings of this study, "functional efficiency", "user satisfaction", "environmental issues", "patient safety”, “accountability in incidents and disasters", and "flexibility" are regarded as the most issues in the country's hospitals. Also, none of the parameters is "without any problem" and has a "desirable status". Conclusions: According to the responses, all of the healthcare buildings in this research had flaws in their physical environment, which require attention. Thus, it is necessary to review and pay more attention to the architecture of the country's healthcare buildings. Improvement of physical environments in healthcare buildings is a necessity. Evaluations of domestic articles indicate that the effects of physical environments of the healthcare constructions have been hardly noticed. Issues such as patient safety, user satisfaction, accountability in incidents have often been investigated in terms of management strategies, quality of medical and nursing services and medical equipment facilities; however, the role of architecture to improve the above-mentioned factors has gone unnoticed (13-20). This study intended to investigate the status of physical environments related to healthcare buildings the architectural capabilities that may be used to improve these environments. The present study was a cross-sectional one carried-out using a descriptive-analytical method. A written questionnaire consisting of two general parts ( the respondent's personal information and assessment of physical environments of hospitals) was used to collect the data. The personal information section included age, educational degree, place of occupation, duration and quality of their profession in healthcare environments. Questions about the physical environment of the hospitals were based on similar studies (1, 3-5, 7, 9-11). This questionnaire consisted of nine general parts: 1) patient safety 2) the process of treatment, recovery, and clinical results 3) user satisfaction: 4) special needs 5) functional efficiency 6) adaptation to developments and changes; flexibility 7) accountability of hospitals in incidents and disasters 8) environmental problems of hospitals; sustainability 9) evaluation of physical spaces. There were 59 questions with five choices (very difficult = 5 points, not difficult at all = 1 point and I have no idea) and nine open-ended questions, to achieve more precise results. To assess the validity and reliability of the questionnaire "experts' judgment" was used where two experts reviewed the questions and content of the questionnaire and after necessary amendments, its reliability was confirmed. To determine the validity and reliability of the questionnaire test-retest method was applied. Such that 8 questionnaires were distributed among the subjects of the study with a time interval of 7 days and the collected data were analyzed using the SPSS software (17th version) and eventually, Coronbach's alpha test was determined to be 86%. The research population was determined with respect to the objectives of the study; two main groups were chosen to complete the questionnaire; they included physicians and nurses as the permanent users of healthcare buildings, and architects and designers with at least 10 years of experience in hospital architecture. Faculty members of the country's universities of medical sciences were selected to determine the population of the physicians and nurses that were to complete the questionnaire. This selection was based on the logic that the academic faculty members have been in contact with at least 10 healthcare centers during their education and service; the academic aspect of their profession make the judgment superior. A list of e-mail addresses of faculty members of all the country's medical universities was prepared for sending the questionnaires. From among 1784 collected e-mail addresses 900 e-mails were selected randomly. The web based questionnaire was sent to the 900 candidates. After four months (March 2012 to June 2012), data collection was complete and analysis commenced. Among the 900 sent questionnaires only 97 were filled; thirteen were incomplete and were omitted and 84 questionnaires were used for the final analysis. Network sampling was used to determine the architects' population and among the experts in this field, 10 people filled-out the questionnaire. consequently, more reliable responses and information were collected. In order to perform the statistical data analysis, SPSS software (the 17th version) and descriptive-inferential statistics were applied. Additionally, the open-ended questions were analyzed by the content-analysis method. Participation rate in this research was 10 percent, which was relatively low and this may be because the questioners were sent via internet and there was a relatively high volume of questions. Opinions of 84 participants were analyzed in this study which included 38 females and 46 males with an average age of 44 years old (standard deviation of 8.31) and the average work experience was 18 years (SD 7.78). Moreover, among the respondents 31 participants were nurses, 43 participants were physicians, and 10 were architects or healthcare construction designers; 48 had PhD degrees, 15 were GPs and 21 of them had Master's degrees. 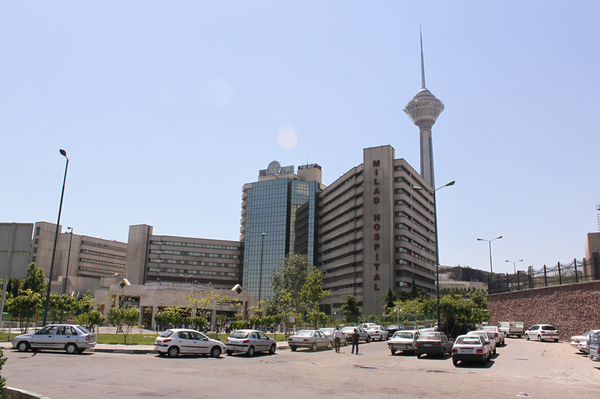 Analysis of the responses provided by different groups (analysis and variance test) suggested that there was no significant difference between the insights of various groups (nurses, physicians, and architects) about the status regarding the physical environment of the country's hospitals. In order to be more organized in presenting the results, the findings are represented in seven categories. None of the topics suggested the flexibility of the physical environment as a basic issue. Yet, among these issues, "adaption of the physical environment to rapid changes related to information technology" has more sensitivity compared to other issues (Table 1). As a result of the content-analysis carried out for the open-ended question in this section, no factors outside of the above-mentioned issues were mentioned. None of the issues brought about, in this section were considered as a fundamental issue. But, among them "strength of building structure" had more sensitivity than others (Table 1).In the second part of this section, the participants were asked about which incidents they thought could endanger healthcare buildings? Based on the analysis of the answers, "natural disasters" (floods, earthquakes etc) were regarded as the most important factors, which threaten healthcare buildings. As a result of the content-analysis related to the open-ended question of this section, no other factor was noted apart from the above-mentioned issues. The "quality of the air inside the building", "management of water supplies", "hospital wastes", "poisonous wastes" and "application of renewable resources and materials" were among important issues regarding the physical environment of healthcare buildings; however, none of them were seen as a basic issue (Table1)As a result of the content-analysis related to the open-ended question of this section, no factor apart from the above-mentioned issues were suggested. According to the data analyses, none of the addressed parameters, regarding the physical environment of healthcare buildings was "problem-free" or had a "desirable condition". Based on the respondents' opinions in this research, all the factors mentioned, required more attention and concern. Therefore, it is necessary to review the architecture of the country's healthcare buildings. 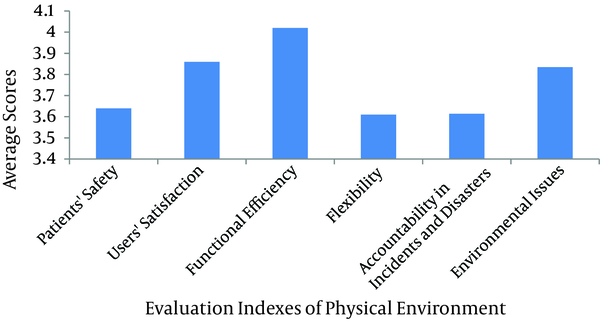 Figure 1 shows a comparison of various indexes in evaluating the physical environment of healthcare buildings. In general, comprehensive studies on all the issues of physical environments of the country's healthcare buildings are sparse. Many of the findings in the present study are in accordance with other existing studies. For example, the necessity of improving the safety and security of the physical environment of hospitals for crisis and disasters (16, 17), decrease of noise pollution and promotion of the environmental conditions for patient comfort and sleep (13, 19), improvement of physical environment of hospitals for elderly people's needs (15), patient satisfaction (14), patient's safety and hospital infections (20) and issues of the emergency department physical environment (21) are important. Another considerable point in the present study was the participants' (subjects) attitudes about the emergency room; which had been emphasized as the most challenging unit (ward) in the hospital structure. This issue has been given priority in the twenty-year outlook of the comprehensive scientific healthcare plan of the state's macroeconomic policy. One of the other issues identified in the present study, which is now being pursued at the national level, is "patient safety". Also, proceedings such as strengthening the hospitals for events like earthquakes, forming crisis committees and planning in order to confront incidents, as well as using modern technologies of health information are among the other executive actions in the country that can contribute to address the issues of the physical environment in healthcare buildings. According to the findings of this study, dealing with all the indices addressed here and improving them through architectural capabilities are two necessities. Among these, "functional efficacy", "user satisfaction" and "environmental issues" have higher priorities and significance. It is recommended that the architects and other related specialists address the other issues mentioned herein during the planning and designing stage. The authors would like to thank Dr. Sedigheh Mirhashemi and Narges Goodarzi for their cooperation. Authors’ Contribution: All authors contributed equally.